Planning a Fabulous 50th birthday celebration makes us want to share a little of what Italy has to offer!!! 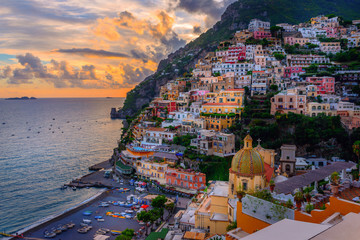 The Amalfi Coast, seductive and beautiful, where mountains plunge into the sea with an intriguing vertical scene, colorful abodes cling to the cliffs and verdant woodland. Its string of fabled towns read like a Hollywood cast list. Positano with famed Hotel Marincanto, sherbet colored homes that stand prestigiously above the sean in their peach, pink, and terracota faded shades. Milan, elegance and sophistication, known for it’s fashion is Italy’s city of the future, creativity makes it a fast-paced metropolis, looking anything less than fabulous is rudimentary and they turn happy hour into an art form. Sicily, encircled by a sparkling mediterranean, where the Ionian Coast is found, is dazzled with enough Sicilian iconic nostalgia to fill to fill a souvenir tea towel. Here you will get swept up in the beauty of the skinny Strait of Messina, be amazed by mighty Mt Etna and will be left speechless at the site of the world’s most spectacularly located ancient Greek theatre. Stromboli (yes there is such a town) most captivating of the Aeolians, reminds of a volcano, with its symmetrical, smoking silhouette rising dramatically from the sea. Popular day-trip destination, but you can get lost in its beauty for a few days and be embraced by it’s beauty and captured by it’s romance that lured Roberto Rossellini and Ingrid Bergman here in 1949. Tuscany – Chianti where the vineyards are sun-drenched and picture perfect. Where grapes for the ever so delightful Chianti and Chianti Classico reds are grown. A landscape abundantly filled with historic olive groves, honey-coloured stone farmhouses, dense forests, graceful Romanesque pievi (rural churches), handsome Renaissance villas and imposing stone castles will never disappoint.